According to the latest statistics, the average person in the UK, spends a staggering 13,356 hours commuting to work, over the course of their lifetime[i]. Perfect for savvy commuters looking to cut back on a long commute into the city, properties at De Montfort Place in Bedford by Storey Homes are ideally located less than an 11-minute walk to Bedford train station, which connects to London in less than 40 minutes. This beautiful new development in the heart of Bedford boasts a fantastic location with excellent transport links on the doorstep. 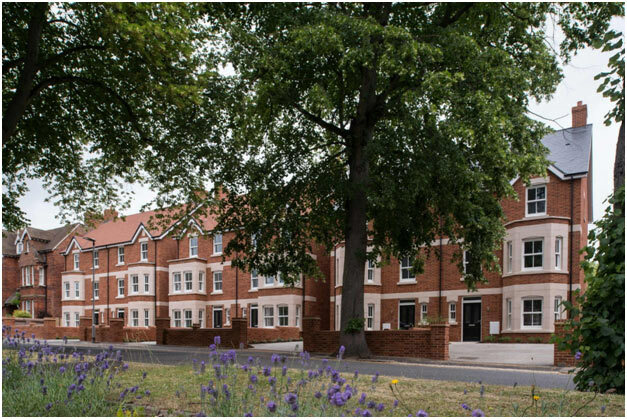 Comprising a collection of 152 homes, De Montfort Place includes one and two-bedroom apartments, perfect for first-time buyers or downsizers, as well as four and five-bedroom executive houses, ideal for growing families. Offering a high specification home for everyone, the development provides city commuters with the perfect base. Pembroke Court at De Montfort Place offers a collection of contemporary one and two-bedroom apartments, perfect for working professionals. Designed to suit modern life, apartments feature a spacious open-plan living and kitchen area. Bathrooms and ensuites feature contemporary white sanitaryware. A secure allocated car parking space comes within the gated development as standard with all apartments. Providing the perfect home for families, the four-bedroom townhouse, The Melton, is situated across three floors. The ground floor is host to a spacious living room that leads directly onto the open-plan kitchen and dining area. The hub of the home is created by the open-plan living area, ideal for spending quality time with the family. Moving upstairs, both bedrooms on the first floor are spacious and come complete with en suites as well as private dressing areas. The second floor offers a further two bedrooms which share the family bathroom. There is also a private study room, perfect for working from home. Ideal for families, Bedford is home to a number of well-regarded schools, two acclaimed independent schools, the Bedford School and Bedford Modern School, and also boasts strong local state schools including the Sharnbrook Academy and St Thomas More Catholic School area. Bedford train station offers fast links into London St Pancras, in just 39 minutes. By car, major roads are easily accessible from the development, with the M1 within a five-mile drive, and Luton Airport approximately 40 minutes away. Prices at De Montfort Place currently start at £192,500 for a one-bedroom apartment and from £239,950 for a two-bedroom apartment. 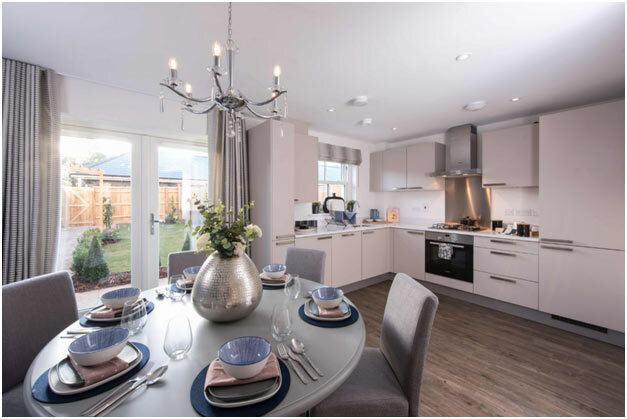 The Melton, a four-bedroom house, is currently available from £450,000 and The Evesham, a five-bedroom house, starts from £515,000. Help to Buy is available on selected plots. For more details, visit www.storey-homes.co.uk or call 01582 742165 to register your interest.